Perrysburg, Ohio, U.S. Perrysburg, Ohio, U.S.
Perrysburg, Ohio (Oct. 20, 2015) - Owens-Illinois, Inc. (NYSE: OI) announced today that it has named Andres Lopez Chief Executive Officer of O-I, effective Jan. 1, 2016. O-I's Board of Directors affirmed Lopez's appointment at its October board meeting, marking the final step in the CEO succession process. Current Chairman and CEO Al Stroucken will retain the role of Executive Chairman of the Board as of Jan. 1, 2016, until the annual shareholder meeting in May 2016. 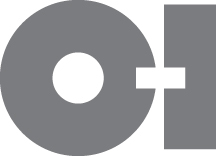 As chief operating officer of the company, Lopez has been responsible for O-I's business and operations in all of the company's geographic regions. He led the negotiations resulting in the recent $2.15 billion acquisition of Vitro's food and beverage business in Mexico, Bolivia and the U.S. Lopez's deep knowledge of the glass industry and his strong commitment to transformational change will help O-I create sustainable value for shareholders, customers, employees and other key stakeholder groups. Lopez joined O-I in 1986 in Colombia and has held several leadership positions, including country general manager in Peru; vice president of manufacturing for O-I North America; and global vice president of manufacturing and engineering. From 2009 to 2014, he served as president of O-I South America. Under Lopez's leadership, the region increased segment operating income and cash generation through revenue growth, operational performance improvement, asset optimization and spending reduction. The region also successfully integrated several acquisitions. In 2014, Lopez was named president of O-I Americas, adding responsibility for O-I's North American operations, where he launched initiatives to improve safety, operational and commercial performance, and cost competitiveness. He was named chief operating officer in February 2015. "Over the last year Andres and I have worked closely together to transition all responsibilities for the company," said Stroucken. "The Board is confident that Andres' passion and his strategic vision for the company will propel O-I successfully into the future." Owens-Illinois, Inc. (NYSE: OI) is the world's largest glass container manufacturer and preferred partner for many of the world's leading food and beverage brands. The Company had revenues of $6.8 billion in 2014. Following the acquisition of Vitro's food and beverage business, the company now employs approximately 27,000 people at 81 plants in 23 countries. With global headquarters in Perrysburg, Ohio, USA, O-I delivers safe, sustainable, pure, iconic, brand-building glass packaging to a growing global marketplace. For more information, visit o-i.com.